Named for a 1945 Charlie Parker track and a 1985 Basquiat painting, Nows The Time was a 10 minute performative gesture that was broadcasted via Periscope and Twitter at 12:01 p.m. on August 15, 2015 (the anniversary of Michael Browns death). 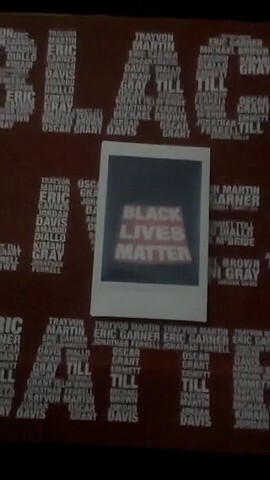 The piece was created to leverage the mobility of live-feed video in order to contemplate shifting notions of sound, time, and instantaneity introduced by the ascendance of mobile camera imaging, the purported demise of film photography and the visual framing of the Black Lives Matter Movement. To watch the video, visit: https://vimeo.com/136552281 Now's The Time was created in collaboration with VIX, (Virtual International Exchange), visit: http://www.virtualinternationalexchange.